What is the best AR-pattern rifle for the price? Bushmaster vs Colt? Who makes the best AR 15 rifles under $600? How is Daniel Defense vs PSA? What is the most reliable? Please vote in the poll at the bottom of page and help us decide the best AR-15 rifles. Palmetto State Armory is one of the biggest manufacturers of AR’s in the US, and they offer an outstanding value for the money. Note we didn’t say cheap, we said value. Are they reliable? Absolutely. Are they accurate? Yup, enough for most applications. Frankly, if you can hit sub MOA groups at 100-300 yards, you probably need to start competing and upgrade to an accurized gun anyway. You will see a couple of PSA’s on this thread, as they are one of the best values for the money with a lifetime warranty. This one is a 10.5″ carbine length gas system “pistol.” Don’t let the brace fool you, this is registered as a pistol, however, at the time of writing this, you can shoulder the brace. A standard 5.56 AR-15, this is capable of firing mil-spec 5.56mm or civilian .223 ammunition, and feeds reliably with M4 feed ramps. With a slim rail, you can get a solid purchase, especially in tight spaces. And like all AR’s, this is highly modular – allowing you to add optics, angled foregrips, the works. It also comes with a flash-cone, which helps push gas to the front unlike a birdcage A2 flash hider that pushes gas 180 degrees up and forward. It’s loud, it spits fire, and it looks badass. You can buy this as a complete rifle or as a parts kit. I bought this as an AR-15 project kit (started with a lower receiver) and quickly saved extra cash I could put into other parts. Do you have a good low price recoil cover that you like? Yes; a good priced recoil cover is the non-slip Recoil Rubber Buttpad as it is only $8.95 at Amazon. Another solid choice that won’t take any shots at your bank account is the Aero AC-15. This is a base level 16″ carbine, with the archetypal plastic M4 style handguards, A2 grip, and classic telescoping stock for the AR purist who doesn’t want to be all tacti-cool. They just want a weapon that functions and rings steel. With this rig, we recommend adding an MBUS backup sight to the rear. With a 1:9 twist, 16″ barrel, and QPQ finish this rifle is ready to go out of the box – just grab an optic, Magpul PMAG, and you’re off to the races. What is a good rear sight for my AR-15? I picked up a Magpul Gen 2 MBUS Rear Flip Sight from Amazon a few months back. That led me to the Magpul MBUS. I read lots of AR 15 reviews, ended up on this product and glad I bought it. With the prevalence of 9mm, the economical cost of shooting, and the acceptance of Glock style magazine, why wouldn’t you want an AR in 9mm? This platform is fantastic for shooting in competition, or working on accuracy for half the cost of 5.56 ammo. There are some slight differences here versus shooting a rifle caliber AR – mainly the lack of a forward assist (this is blowback operated, not gas impingement operated) and the lack of a last round bolt hold open. However, that being said, the manual of arms is still very similar, and allows you to shoot more often and faster. And also, there is a whole new division in the shooting sports that afford you the opportunity to run and gun with pistol caliber carbines (PCC) like this. Decked out with MOE furniture and a sleek hand rail, the Gen 4 9mm comes with a 8620 steel bolt, enhanced firing pin and 5.56 steel extractor for added reliability. Moreover, the bolt is compatible with a ton of aftermarket triggers, like the CMC 1.5 lb I have in one of mine. Another great platform that’s similar to the Aero is the Ruger-556. This one has a 16″ matte, cold-hammer-forged barrel, with the standard telescoping stock and carbine length handguard. With the A2 style front sight post/gas block, and flip up rear sight, and included PMAG, you can get right to the range from the gun shop with this rig. You also have the ability to adjust the front and rear sights to get zeroed in, and have amply sling mounting options. This particular model is direct impingement, but Ruger also offer the SR-556, which is a piston driven model. The Bushmaster QRC in an outstanding off the shelf option for a budget rifle that comes in at around $500. This flattop is ready for action with nothing to impede your vision. Just slap a scope or red dot on top and you’re ready to rock. It comes with all the standard issue AR15 trimmings – collapsible stock, pistol grip, and is highly modifiable. It comes with sling points, so you can attache the Yahill Multi-Use 2 Point Rifle Sling . You can also use this on a tactical shotgun as it is very versatile. An even better value for the money is the PSA PA-15. With this platform, you get all the trappings of the others, but with Magpul MOE furniture already mounted. In addition, it comes with a MBUS backup sight and M4 profile barrel. This rifle comes with a 1:7 twist, which means it will like heavier bullets a bit more, but we’ve run PSAs with everything from 55gr to 75gr with no issues with accurate for combat distances. 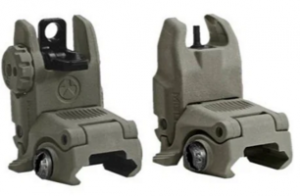 Magpul furniture, as a run, if much more user friendly than the common A2 style furniture, and the stocks come with a buttpad insert already! The Oracle A3 is interesting for a lot of reasons. It would be of special interest to your bank account for only $500 or so, but also the furniture and stock make it of more interest. At first glance, it looks like a standard mil-spec stock, but its a bit more unique with an undersweep by the armpit when you shoulder it. Moreover, the short handguard is made by Glacier Guard, and has a picatinny rail on the gas block to mount backup sights on it. 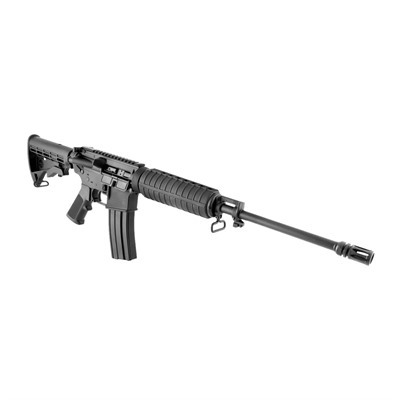 DPMS has been around for a while, and all of their rifles get good reviews. It sports a 16″ 1:9 twist barrel, making it more stable with more ammunition. AR’s come in more than just 5.56 and .223, which is awesome. There have been .308 and 9mm ARs for quite a while, but of late we’re seeing new franken-cartridges that have exceptional ballistics like this PSA in .224 Valkyrie. With a 20″ 416R barrel, Magpul CTR stock that doesn’t wobble like other AR pattern stocks, and Magpul pistol grip, this rifles lends itself to accuracy. Stainless barrels reach out a bit better than standard 4150 CM barrels, and the improved drag coefficient on a .224 Vaklyrie makes it stable in flight. 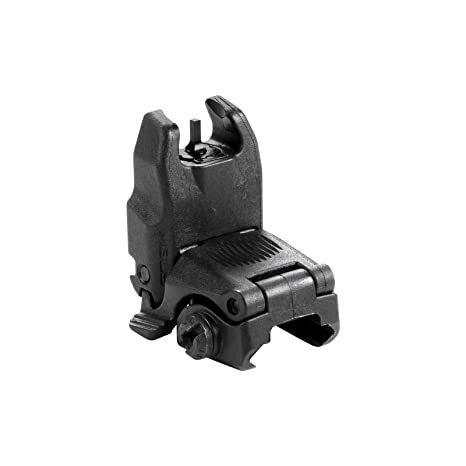 This also comes with a nickel boron 2 stage trigger, bringing even more value to you right out of the box. If you’re looking for a rifle that’s a bit cooler than a standard 5.56 and allows you to reach out and ring some steel, look no further. Now, if you want something a little more hard hitting with a bigger round than the 224 Valyrie without breaking the bank, the PA10 is the perfect option. But be advised, this is not for the faint of heart or the delicate of shoulder; this puppy kicks. Hard. But it also hits harder. I have a modified version of this one – which we reviewed here. 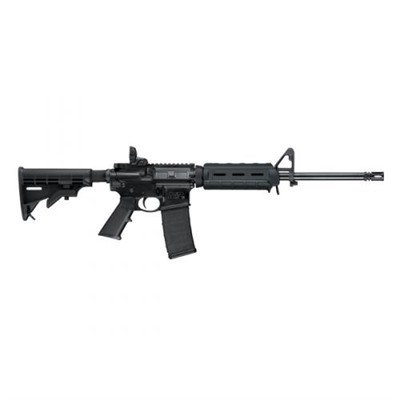 Again, this is a fantastic rifle for the money, at or around $600 on sale, all American made, and pushes out a 7.62×51 projectile at screaming velocity from an 18″ stainless 416R barrel. Adorned with standard mil-spec furniture, you can get plenty of aftermarket components to deck it out as well as some sweet aftermarket triggers to make this a battle rifle or long range platform. With a midlength gas system, it cycles reliably with almost everything we’ve fed it, and it even more accurate at distance than my 5.56 rifles for double the price, given the weight of the projectile and the extra barrel length. Smith & Wesson is one of the oldest and most trusted names in firearms, and for good cause. They make all types of platforms, and the S&W MP15 Sport II lives up to the reputation. I had the first iteration of this rifle, but ended up selling it due to the fact that it lacked a forward assist. WIth their second generation, it seems S&W heard shooters out there asking for a more mil-spec rifle. This one, out of the box, comes with Magpul handguard, which we’ve already outlined how much we love, and a flip up rear sight. Slap on an Aimpoint PRO Patrol Rifle Optic , and Magpul stock and handguard and she’s ready to run whatever you can throw at it. I am thinking about trading out a LWRC m6a2 for a DDm4v5. What do you guys think about that swap – would that be an upgrade or downgrade? Some say that is a lateral move where as some say a slight upgrade. Video – Is the Colt 6920 best for $1000? How do you rate the Stag Arms vs Colt Ar-15? How do you rate out a LWRC vs Windham Weaponry AR-15? Both are great weapons. Check out the video below on the Windham Weaponry. What is the best AR15 on the market today? It is subjective but many shooters prefer Lewis Machine. Check out this review comparison of the LWRC vs Lewis Machine and Tool AR-15. What are the the top 5 high-end black rifles on the market? Daniel Defense, Lewis Machine, Windham Weaponry and Rock River Arms are considered by many to be the top of the heap. Who makes the best custom weapons? That is a hard question as there are many custom shops out there doing great work. Some say that Black Rain Ordnance makes a great exotic black rifle. What is the best value weapon today? Most voters picked the Colt or Bushmaster as the best value for the money. Where can I find reviews for the Bushmaster rifle? Check out the videos and reviews above. Some say that the DPMS uppers are really good right off the shelf. You can spend a ton of money on a really accurate upper. I am thinking about the S&W AR-10 – do you have any reviews? Yes; check out the video below. My buddies and I are looking to get a set of night vision goggles or binoculars for our hog hunting camp. Do you have any good deals? Are there any Navy SEALs out there using the Bushmaster rifle? Yes; I have one myself and use it often. What about a Bushmaster with night vision? Where can I find stag arms model 7 reviews? Check out the Stag Arms model 7 video review below. What is the best AR-10? You can expect the usual suspects names to pop up for the best AR10 – Daniel Defense, Colt, Noveske, and the like, but unless you’re going to war, less expensive options like Palmetto State are great. What is the best AR for the money 2019? That’s a loaded question. You have to ask yourself what you’re going to be using the rifle for. For example, if it’s a duty rifle, go with a proven battle rifle brand like Colt or Bravo Company. LEOs and military abroad carry both makes, so you can rest assured if it’s good enough for the US military, it’s good enough for your duty rifle. If you’re looking for something for plinking, Smith & Wessons MP series are well made rifles, as are Palmetto State Armory’s. In fact, you can build a PSA rifle extremely cheap that will do just fine as a range toy. Who makes the best A.R. pistol? Virtually all AR manufacturers make pistols now, especially with the ATF relaxing brace requirements. As a matter of course, I’d find a brand you like, and try one of their pistol builds. Carbine length gas systems for 5.56 builds are the most reliable, as they are pretty “gassed” – meaning that plenty of gas it running the action. Although this may foul the weapon faster, it’s better to be reliable than clean in my book. Pistol length systems can have timing and cycling issues, so be mindful of that. However, for 300 BLK, you should go with a pistol length gas system as that’s what the platform was built on. What about Lewis Machine and Tool vs DPMS panther? We are working on a review for those now. Which do you prefer with the DPMS Panther arms vs Rock River Arms? Both are very fine weapons so check out the video below..
What do you think of the Larue vs RRA? 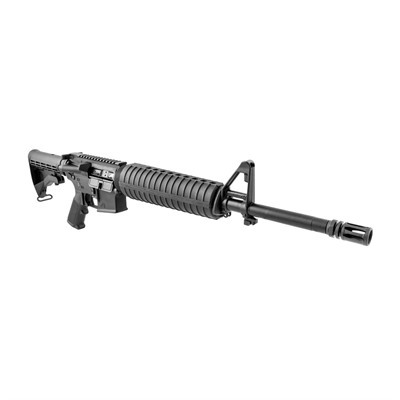 Do you have any reviews for the rock river vs dpms? Where can I find a Colt le6920 rifle review? What are the best value bushmaster AR-15 rifles? What is the best plinker for the money 2014? Bushmaster or S&W MP15 Sport are good values for the money. Out of these top rated .223 AR’s: DPMS vs. Windham vs. Colt, which one would you pick? All things being equal, I’d go with the Colt. Do you have any reviews for Stag arms vs Rock River? Yes; check out the video review below. Rock River vs Larue vs Stag Arms? Some shooters say the Bushmaster is the best value for the money but the Rock River comes in second even though it can be more expensive. What about Huldra vs DPMS? Check out the video below with info on the Huldra Arms AR. LWRC M-6, great setup and all around best parts in a factory weapon that doesn’t need mods and never jams. The Doublestar Corp. and Accurate Armory, both out of Kentucky, manufacture excellent weapons. I’ve trained with models from each. I have an older BM for LEO which is very good and a BCM which is much better. I would be perfectly happy with LMT, DD, LWRC, and am ESPECIALLY intrigued with the War Sport LVOA. All are top tier and if your life is at risk when you have to shoot it you can’t go wrong with any listed here with the BM being the “BM” of the bunch. Many others are top notch but it becomes a Ford or Chevy choice. Have extra upper and lower parts kits, staked bolts and BCGs, triggers, springs, and bushings, etc. oh, did I say plenty of target ammo and also the good stuff. What AR-15 do Navy SEALs Use? What are the best value Bushmaster AR15 rifles? Has anyone heard of Intacto Arms? They are a custom Manufacturer in Boise, not a mass produced line. Yep.I have one. Tip top of the line stuff..
Colt 6920 and 6920socom.Theres nothing in the ar market that can run any harder or longer.I have both and wouldnt trade either for any other ar.I did replace the barrels for the correct 14.5 inch colt barrels.No need for midlength same dwell time and recoil. How can this have gone on for so long without any mention of the HK-416? it is awesome and IMO the best AR platform on earth. When the zombies come I want an HK-416. Well. I think there referring to only DI. HK is the best. I would go with Colt M4A1 with a few inexpensive mods over HK416. Sprinco cryo buffer and five coil extractor spring with insert and crane ring. H2 or MGI buffer. I may also polish the trigger up a bit of needed with emery cloth and oil, don’t recommend the inexperienced. My newest 6920 came with a polished trigger OEM much smoother than any previous factory Colt triggers, but it can be a hit or a miss from what I have read. You can buy various decent milspec triggers if you don’t like the factory trigger. Ken Elmore also has an outstanding reliability package you can have done on a untouched Colt M4. IMHO it’s the best bang for your buck and the 6920 is extremely reliable as is, but Ken can make it better. And good barrels are reasonable if you want a cold hammer forged machine gun steel triple chromed barrel, just make sure it has a .063″ gas port on a 16″ barrel and it should run right. Ken wont work on a non stock Colt fyi, they even prefer not to deal with RIS, but you’d have to call to confirm. Specialized Armament. I also use a properly staked milspec Colt gas key on a obsidian coated M16 BC with a Colt bolt. You can buy the entire BCG obsidian, but I prefer the Colt bolt and gas key. Thinking of getting the VTAC 2 from a buddy. Fairly new to the AR market but seems to be a solid rifle with nice “out of the box” upgrades. Anyone have any experience with one or thoughts? We just posted up a video about the VTAC 2. Thanks for posting. Everyone has an opinion. I shopped for 2 years then chose a Rock River Elite Operator 2. A heavy rifle, made with quality. There are unlimited options/upgrades to set your AR up with, but they all function the same. Get what you like, with the options you want – similar to upgrading your stereo, rims and tires on a car. Didn’t see HK 416 reviewed. Thought it was a really good rifle. Not any good? Roy – do you have the HK 416? Can you post up a paragraph or two about how you like it? I realize this thread is dated a bit, but I’m really enjoying my Ruger SR556 TakeDown. Solid build, fun all around. Thanks for the comment Eric – we are looking to update this article in 2017. I really liked my PSA SBR until I got my Tavor. Now the Tavor is my favorite by far. good to hear Cliff – do you have a photo of you shooting the PSA that you can post? I love my FN DMR, the 1-7 twist 18″ barrel is just right for me. The rifle is very well done with most of the common upgrades already done. How is Heckler & Koch not in the top 10? 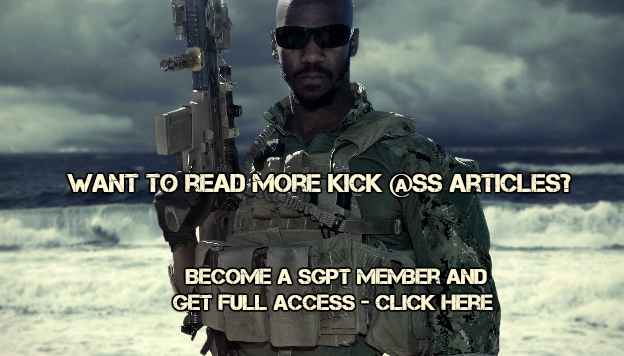 Because most shooters cannot afford the HK at a cost of 3k to start. This list is more based on black rifles that are the most popular for our shooters. Michael Lalla do you own a HK? Would you do an review for our website? Its been a while since my last post but I still think Colt is the best basic Ar you can buy.My Colts haven’t done anything to change my mind.I purchased a Advanced Armament mpw 556.It has all of the new materials free float rails Geissle ssa trigger ect.Fine shooter but doesn’t do anything my Colts cant do.My sgl 21 and my slr 106 chopped dont do anything my Colts cant do.That being said all current mfg Ars function fine. Just traded for a DDm4v1lw new unfired.Fit and finish is top notch and better than my Colts.It has all the bells and whistles but it wont be any more reliable than my Colts. No love for Seekins? I put them right at the top tier.